As the Republican Party becomes whiter and more Southern, obstructionist tactics are inevitable. In 1956, segregationist Southern Democrats outlined a policy of massive resistance to Brown v. Board of Education, which ordered the desegregation of public schools. Today, the Republican Party, particularly in the South, is following a similar path of massive resistance to Obamacare. This phenomenon is most acute in the South, where the GOP packed as many Democratic voters, particularly African-Americans, into as few districts as possible to ensure huge Republican majorities across the region [see Berman, “How the GOP Is Resegregating the South,” February 20, 2012]. After the 1994 elections, white Southern Republicans accounted for sixty-nine members of the 230-member House GOP majority. Today, white Southern Republicans account for ninety-eight members out of the 233-member House GOP majority. This remarkable shift is not likely to change soon. “In all but one election since 1976, the proportion of Southerners in the House Republican caucus has gone up,” says Dave Wasserman of the Cook Political Report. Of the eighty members of the so-called “suicide caucus” who urged Boehner to defund Obamacare, “half of these districts are concentrated in the South,” writes Ryan Lizza of The New Yorker. As long as ultraconservative Southerners from lily-white districts hold the balance of power in Congress, we shouldn’t be surprised that obstruction and dysfunction are the result. 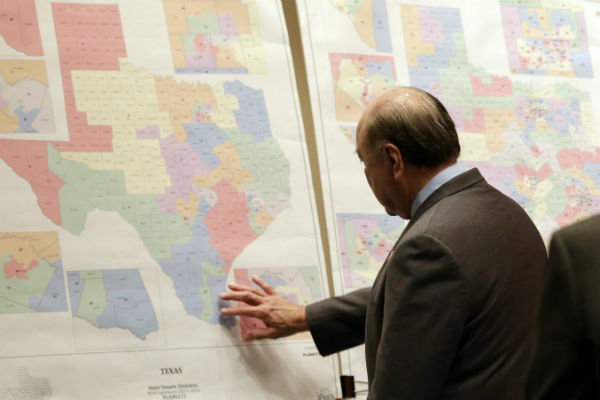 Ari Berman discussed the the fight over redistricting in Texas in June.